Head to the Jay Pritzker Pavilion in Millennium Park this evening for a free show from 6:30 to 8:30 featuring singer-songwriter St. Vincent and Allá. The show is part of the "Downtown Sound: New Music Monday" series that includes three free outdoor shows in the park this month. St. Vincent’s album ‘Actor’ was released earlier this month and is followed by an impressive summer tour including a not-to-be-missed show at the Jay Pritzker Pavilion. 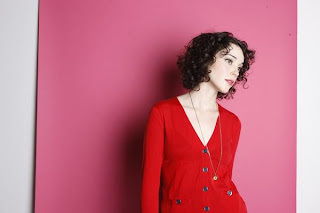 Annie Clark, who does business as St. Vincent, wrote much of her new album, “Actor,” by drawing, not playing. Mainly a guitarist, Clark began the album in a French hotel room in December of 2007, using GarageBand software and a pair of headphones, “drawing notes one by one, until they sounded how they should sound.” This new album paired with her intense, high energy stage presence makes this concert a top highlight for the summer season. Chicago-based Mexican-American three piece Allá was formed by young artists with a broad range of tastes and musical interests and will open for St. Vincent. They have created a unique sound encompassing some of their favorite styles from German Krautrock experiments, Motown, Brazilian Tropicalia, cosmic jazz and traditional Mexican music. Next week's free show will feature The Sea and Cake and Dirty Projectors. Millennium Park is a center for art, music, and architectural design. The 24.5-acre park contains works of architectural wonder by Frank Gehry and Jaume Plensa.